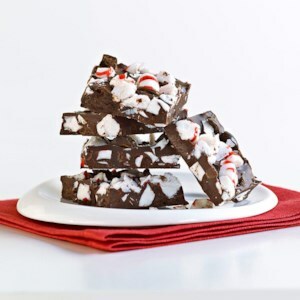 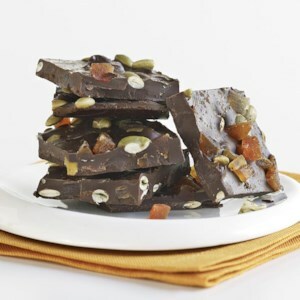 Find healthy, delicious chocolate bark recipes, from the food and nutrition experts at EatingWell. 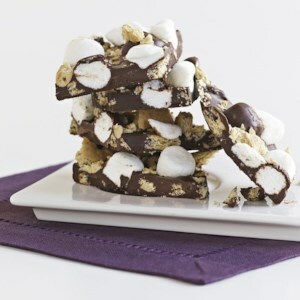 Because these sweet, crunchy treats take just 45 minutes to prepare, they can be made on short notice. 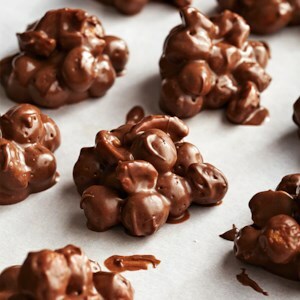 Consider doubling the recipe--stored in an airtight container in the freezer, an extra batch will last for up to 3 months. 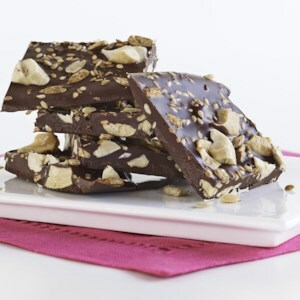 With just a few simple steps, you can transform plain chocolate into a divine treat with this chocolate bark recipe. 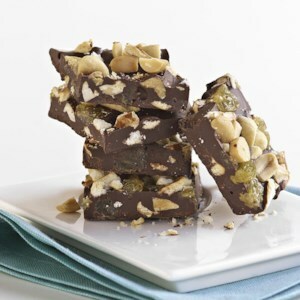 We stir pretzel pieces, raisins and peanuts into this chocolate bark, which is perfect for a gift. 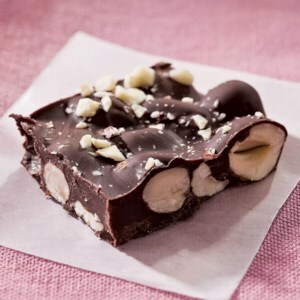 With just a few simple steps, you can transform plain chocolate into a divine treat with this chocolate bark recipe. 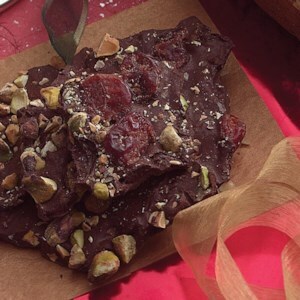 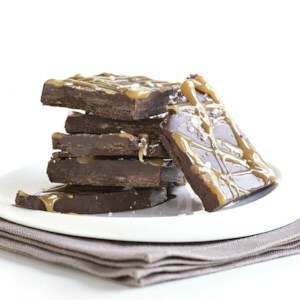 We stir in melted caramel then top this chocolate bark with more melted caramel and flaky sea salt--it makes a perfect gift.